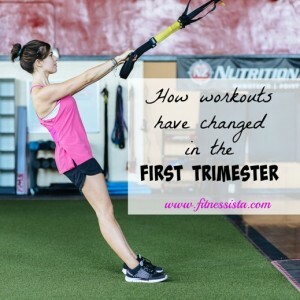 While the Pilot was deployed, I really wanted to prep the proverbial bun in the best way possible and help my body to become more receptive to pregnancy. Here is a list of the things that helped me out and I’m posting these tips for those who might be interested in seeking an alternative path. Of course, everyone has unique situations and I think it’s up to us to be respectful of other’s personal choices regarding their bodies. Please check with a doctor before making any nutrition changes, taking herbal supplements and if you’re planning for a little one in the near future. Your doctor will help you develop your own personal plan. I read TCOYF almost three years ago and I couldn’t believe that I lived for so long without it. 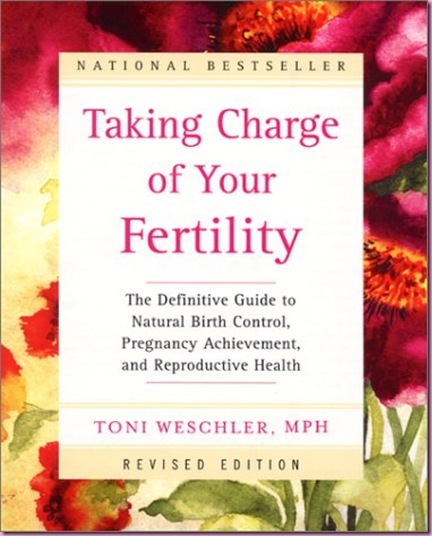 This book explains in detail how to chart your cycle so that you’re more aware of your fertile time by tracking body changes and basal (waking) temperature. By charting, you’re able to determine when you’re expected to ovulate, any irregular patterns in your cycle, and any possible hormone deficiencies (like low progesterone which can contribute to luteal phase defect, which could prevent you from becoming pregnant). The book explains EVERYTHING and also includes charts for you to use at home CD software so you can input your info into the computer (which is the method I chose before switching to the iPeriod app on my iPhone). After charting for a few months, I could tell that something was totally off after being on birth control for 13 years. My waking temperatures were all over the place, some cycles I’d ovulate extremely late (around day 21, which would make the luteal phase –amount of time from ovulation until a new cycle began- extremely short) and other cycles, I wouldn’t ovulate at all. 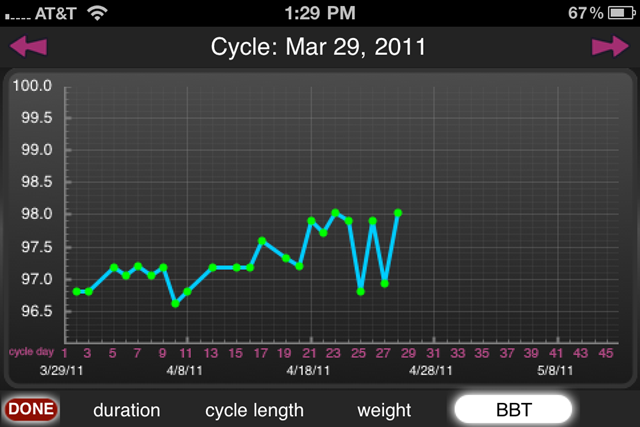 If I hadn’t been charting, I would have thought my cycle was entirely normal because it was the standard amount of days (28-32), but the problem was what was happening within my cycle. I wasn’t having a real cycle at all some months; rather anovulatory bleeding, which would have made me think everything was good to go, had I not been charting. I went to see a doctor in Valdosta, who talked to me for about 2 minutes before handing me a prescription for Clomid. “Here, take this. That will get you pregnant.” And he rushed off. After researching the side effects of Clomid (beastly mood swings- Tom was about to deploy, I didn’t want him to hate me when he left- less fertile cervical fluid, etc) + the fact that I was already sometimes ovulating on my own (all Clomid does is force ovulation) made me decide I didn’t want to take it, especially since we hadn’t been trying for very long. 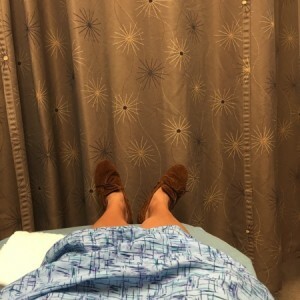 I figured if it was meant to happen before the deployment, it would have, but instead the deployment gave me a chance to get to know my body and cycles better, as well as explore some other options. After talking to a good friend who had success with a homeopathic doctor (they had been trying for 3 years before she started seeing him; she got pregnant in 6 months), I decided to start seeing him to figure out if we could normalize my cycle and help prepare my body for pregnancy. My friend gave me the phone number to his practice and I started to have phone appointments with him in addition to the herbal supplements he put me on. 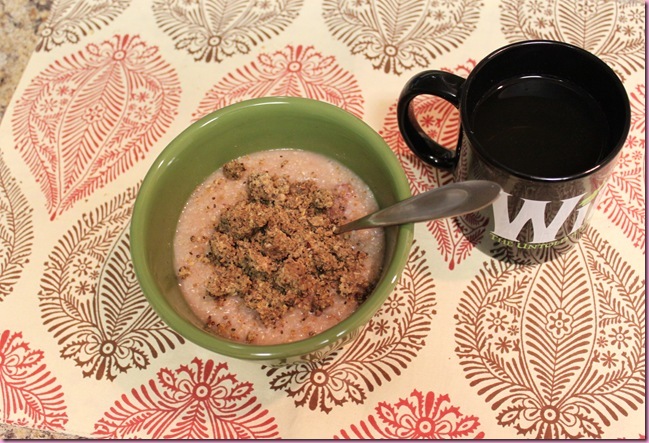 He put me through quite a bit of testing (including a saliva DNA analysis) and determined that my hormones were backwards- higher at night than in the morning, which explained why I hated the morning so much and couldn’t start my day very quickly- and that I was gluten-sensitive, with very low insulin levels. The supplements I took, in addition to a lower sugar and gluten-free diet, were intended to bring everything back into balance. He assured me that within 6 months, things would be in place. I’m going to be doing an entire post on my doctor, including his name, because working with him has been one the best experiences I’ve ever had with a medical professional. It was very expensive, which was the only downer, but 100% worth it. He took time to thoroughly answer my questions, fixed my hormone imbalance –later testing showed everything was back the way it should be- and always knew what was happening with my body (the questions he would ask me were so crazy, because he’d already know what was happening before I had to tell him- like “last Monday, was your wedding ring a little tight?” and sure enough, that was the night I couldn’t fit my ring on my finger.. stuff like that, it was insane). He encouraged my active lifestyle and found plant-based supplements for me to take when I told him I wasn’t comfortable with animal-based ones. He also told me I’d have no problem getting pregnant the month Tom got home and when I called him to share the news, he was overjoyed but not surprised in the least. Of course, there’s no way to be sure if my hormone imbalance and the other issues I was diagnosed with would have prevented me from becoming pregnant, but I am thankful that everything was back in balance when he got home. The second book I recommend, Making Babies, is the perfect mix of Eastern and Western medicine in preparation for getting pregnant. It’s written by two well-known fertility doctors (one of whom helped to develop in vitro) and they both state that women are often given prescription drugs and fertility treatments without determining the underlying cause for the problems. 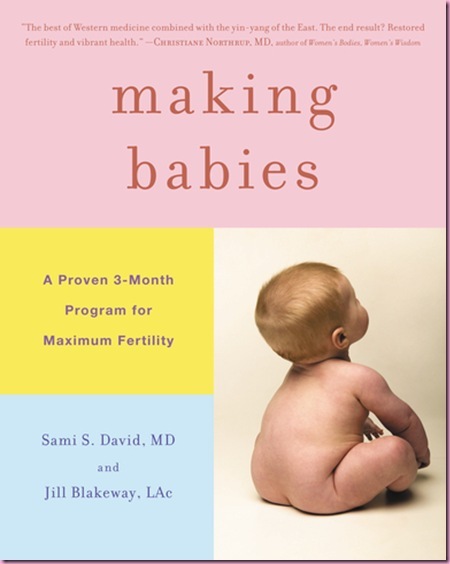 I found the book extremely informational, especially since it’s customized for different “fertility types.” After answering a short quiz, you’ll be able to determine your fertility type (pale, stuck, tired, dry or a combination). The book gives nutrition and fitness suggestions based on your specific type. I wish I would have read this book sooner, because it gave me amazing tips and I discovered that many of the foods I was eating weren’t right for my type. 1. Acupuncture: Not only did it help me relax, but it was a fantastic complement to the work my homeopathic doctor was doing since it enabled blocked energy to flow and my body to work the way it’s supposed to. One of my cousins, who had an extremely difficult time conceiving –she has PCOS and has gone through in vitro and other medical procedures- is confident that acupuncture is what got her pregnant. That was all I needed to hear and I loved going for my twice-weekly acupuncture nap. I wanted by body to be as receptive as possible when Tom got home, and I’m confident that acupuncture had a significant role in that. I’m very fortunate to have access to an incredible community-based acupuncture clinic here in Tucson (Tucson Community Acupuncture) which is very reasonably-priced so we could afford my frequent visits. 2. Exercise changes: Like I said before, I always took it easy the second half of my cycle because there is a chance that you can shake things up too much before implantation occurs. I replaced HIIT, BodyRock and intense workouts with walking, yoga and Pilates until I knew for sure that nothing was going on in there. I think my body enjoyed a break from the frequent pounding and it helped me stay motivated to work out, since I was always switching things up. 3. Tea: I read somewhere that women who drink tea have a 30% higher chance of conceiving, so I continued with my tea habit – not difficult since I like it so much. Green tea, white tea, Raspberry leaf tea (which you shouldn’t continue to drink after a positive pregnancy test) and FertiliTea, which I drank the month before it all happened. 4. 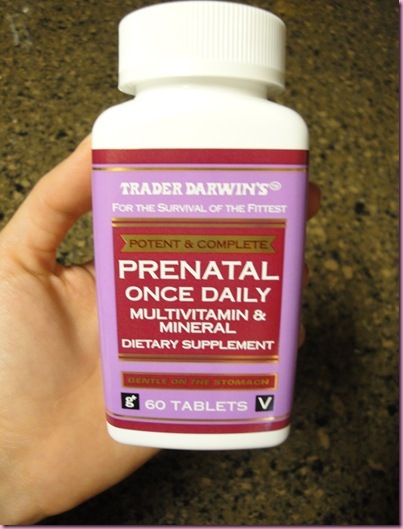 Eating for implantation + prenatal vitamin: The month that the little nugget was created, I had just finished reading “Making Babies” and was following their meal guidelines. They suggest certain foods to help with implantation including pineapple, red peppers, sunflower seeds and vitamin B12 (so I sprinkled nutritional yeast on everything). I made sure to get a good balance of all of these foods. Also, I was more lax with my eats. I started eating more fats, more proteins and treating myself more often. I continued to plan meals so that I’d get the nutrients my active body required and my doctor wanted me to gain 5 lbs, which I did. Through eating well and exercising, it wasn’t additional smush, just additional weight. I’ve been taking a prenatal vitamin for a little over two years- it’s recommended to start taking these within the year you plan to start a familia. Another thing that I paid attention to was ph balance of the foods I was eating. Your body will conceive when it’s more alkaline than acidic (little swimmers thrive in an alkaline environment), so I made sure to include alkalizing foods and a morning dose of apple cider vinegar in hot water. 5. Yoga: It’s easy to get overwhelmed with all of the options and unknowns, especially when you move across the country and your husband is in Afghanistan. Yoga helped me keep my sanity. It was a great chance for me to focus, reduce stress and learn how to trust that my body would do what it needed to when the time was right. 6. Random: The month Tom got home I really wanted to feel like I was doing everything possible, so I bought some FertileCM after reading reviews online. I read that you don’t want to overdo it if you’re petite, so I took this twice a day, every other day instead of everyday. And it worked. Like really, really worked. That’s all the detail I’m going to go into. 7. Trying without “trying”: You never want the trying part to feel like work.. ever. Before Tom left we were both super stressed out about moving, the deployment and life in general, so when he got home, we promised to not worry about what time it was in my cycle and just have fun with it. We drank a hefty amount of wine, went on dates, traveled and enjoyed each other’s company. We were confident that it would happen at the right time… and it totally did. When he kisses the baby goodnight before we go to bed, I know this is how it’s supposed to be. I hope this helps a little since many of ya asked which steps I took. It looks like a lot, but over the span of adding things in over the course of a year, it really wasn’t too bad. April 25: What in the what?! Thank you for sharing your experience. 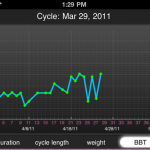 I had been on BCP (birth control pill) for 10 years, after stopping last August. It has taken me until just now to gain my period back. 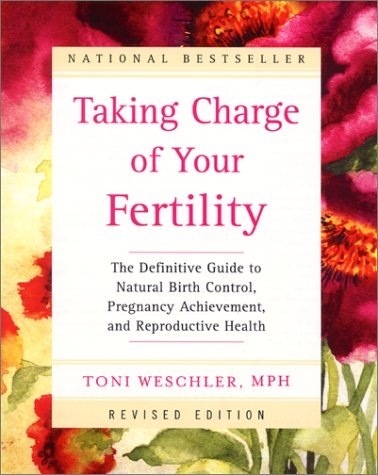 I’ve devoured “Taking Charge of Your Fertility”, and was shocked at how little I knew my body. Girlfriends and I would chat about periods and ovulation, and how one actually gets pregnant, and would laugh over not knowing a thing. How is it that we know so little about our cycle and how our bodies operate? Anyway, all of this is to just say THANK YOU!! I’ve printed out the little alkalizing foods charts and keep it on my desk. 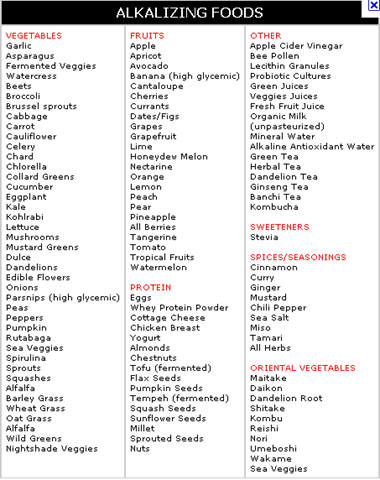 At the minimum it is a constant reminder of eating to conceive, and helps direct me to the right foods. We order groceries through a service here called Instacart, so that print out is helpful through the grocery buying process as well! Did you ever receive any acupuncture? Did you experiment with Maca or Spirulina? Or any of the other super food fertility boosters? I’ve also heard about Royal Jelly, Vitex, Evening Primrose Oil, Red Rasberry Leaf, Nettle, and B6. Any thoughts or experience there? My husband and I are actively trying to conceive, so anything helps!! hi rachel! so happy you loved it, too! it really opened my eyes and changed my life. i’m excited to be able to share the info with my own daughter so they can know about how their body actually works. yes, i did acupuncture, maca, spirulina, and herbs from my doctor. i also highly recommend the book “making babies.” he has a specific action plan based on your constitution. it is an incredible and insightful read! I’ve been reading your site for a little over a year now (the girls are adorable! ), but only just stumbled upon this. We are trying to conceive #2 – did you do all of the above again when you were trying to conceive P? I do some of the things mentioned in the post (BBT, teas, healthy eating, etc.) I’m just looking into what else I could be doing right now. Thanks!